Cotton, AIO, PUL, wool… the choices are mind-boggling. Our cloth diapering 101 pages makes it simple so you can get cute cloth on your baby's bottom – and enjoy the cost and environmental savings! The last reason is probably my favorite – but all the others (and more) are so true too! Modern cloth diapers are quick and easy to use, and they're easy to keep clean. Elimination Communication (where you respect your baby's intelligent, inborn signals that he/she needs to potty). 1 Modern Fluff Really Works! We've got it pretty good as parents today. It's easy to fit cloth diapering into our modern lifestyles! There are a wide range of styles, fabrics, and even fun patterns of “fluff” for you to choose from. You can take a cloth diapered baby anywhere with you. You can even travel with cloth baby diapers if you want to. 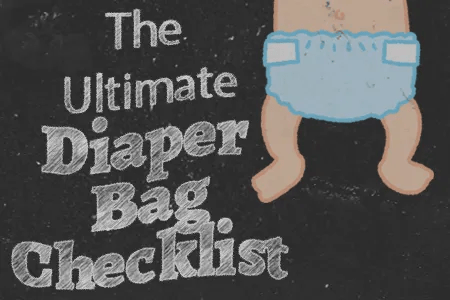 A few accessories, like wet-bags, a sturdy pail, and your favorite laundry soap, are all you need to finish out your cloth diaper supplies. Cloth diapering is a baby-friendly and environmentally friendly choice. With easy to use cloth diapers in unique fabrics and designs, good diaper pails, and a simple washing routine, cloth diapers really are a family friendly choice!